A HERO'S SURPRISE Bridesmaids Creek, Texas, loves weddings. So favorite son Ty Spurlock hatches a plan to bring his single cowboy friends to town to woo the local ladies...as long as they stay away from Jade Harper. Ty secretly wants the gorgeous redhead for himself...even though he's about to leave town to join the Navy SEALs. 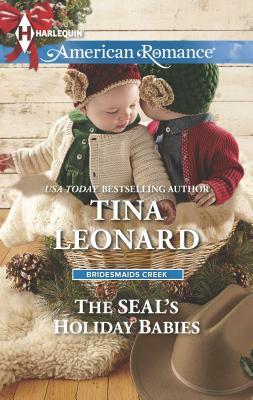 Jade refuses to stand in the way of Ty's dream of being a SEAL...but she also can't hide her precious surprise--two precious surprises --when her hero comes home for Christmas. The whole town is in on a secret that's about to rock Ty's world. Head over heels for his twin girls, he's ready to do the honorable thing. But how can Jade say yes to a man who was never meant to be tied down?